More than just a Café, the Majestic tells the history of Oporto. The Oporto of the twenties, of political gatherings and discuss of new ideas. It was also the Belle Epoch period, a time of writers and artists. 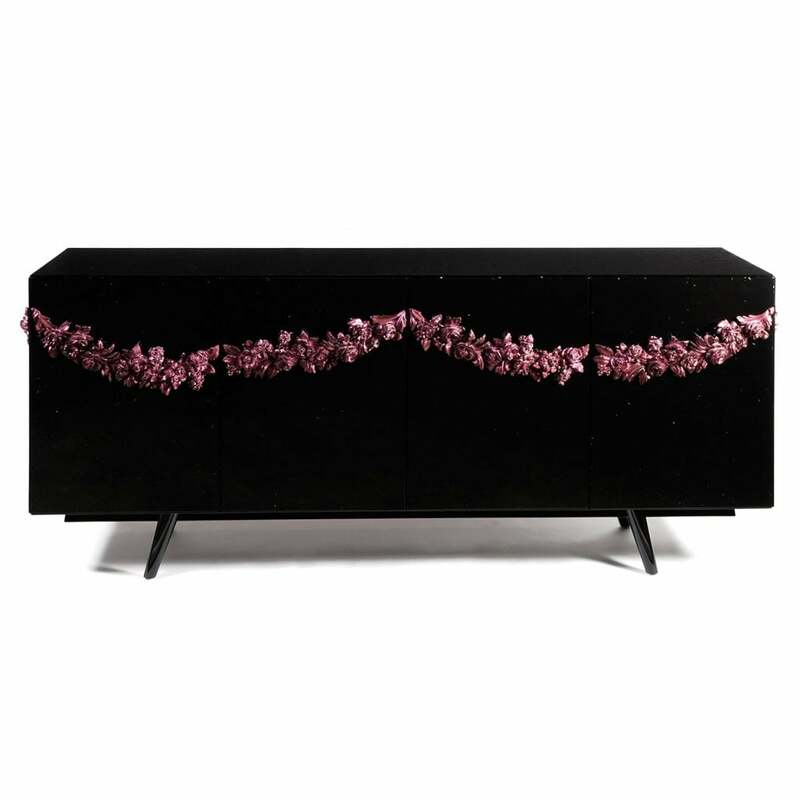 To honour this period and this emblematic Café, Boca do Lobo designed Majestic, a modern black sideboard, highly stylish, that provides a generous amount of storage space without being too imposing. It is a unique piece of furniture that lends an attractive presence to any room. Four flush doors open discreetly to the interior of the piece where you will find elegant drawers and functional shelving. Hand carved wood garland drapes the sideboard and functions as the doors pulls. The piece is framed in particleboard, which gives the black high gloss lacquer finish its textured appearance. PRODUCT OPTTIONS Floral garland colour options: High gloss varnish translucent colour over silver leaf in a choice of emerald, lapis, amethyst or citrine. Black lacquered over particle board, hand carved wood, silver leaf, with amethyst translucid, smoked glass.